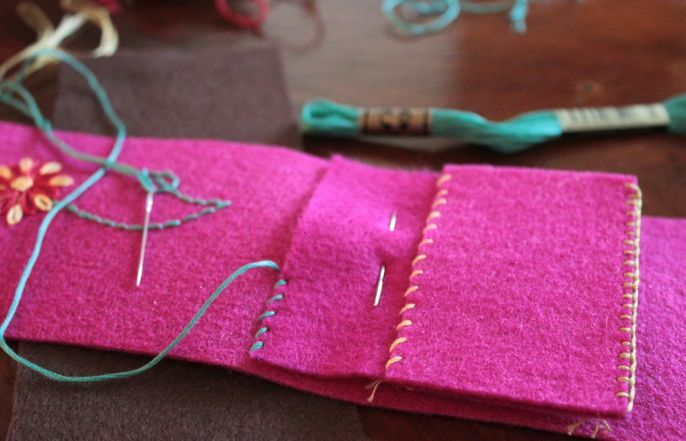 Yesterday we made a quick and easy "I'm on vacation and I've got diy withdrawals" felt pouch. 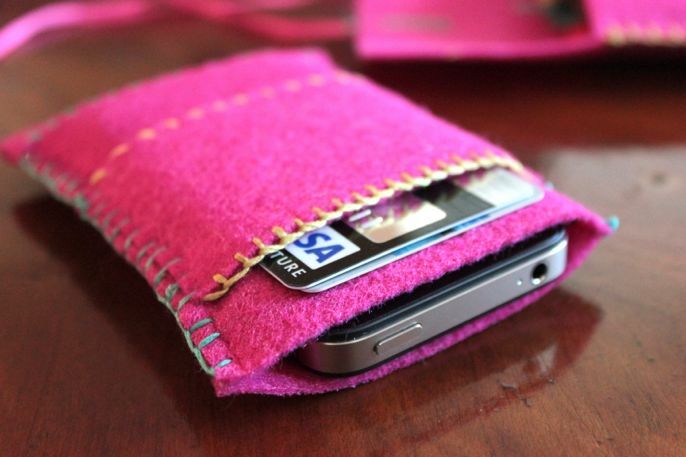 Now it's time for part two, the "I'm on vacation and I've got diy withdrawals" simple iPhone case with an additional card/cash slot - supah easy, cheap, colorful, and made with only a few materials. 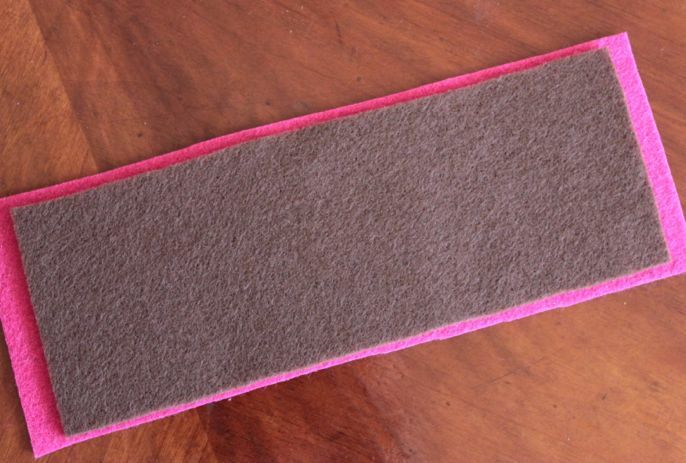 The outer, stiff piece of felt measures 9 3/4" x 4 1/2"
inner (brown) felt is 8 3/4" x 3 1/4"
Have fun decorating the outer pink felt - I added a simple flower. 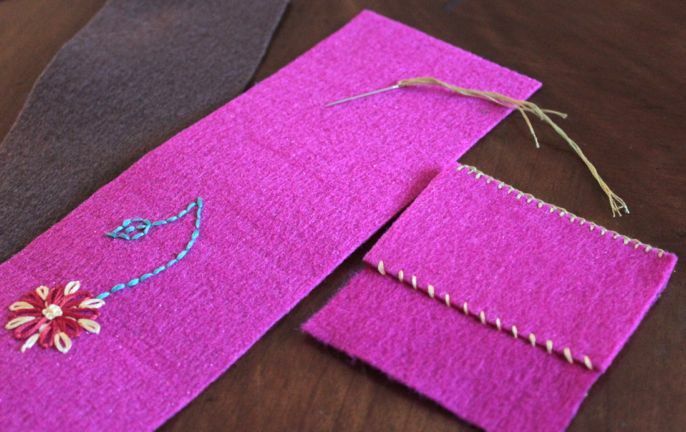 Place the 3 1/2" piece approximately 1/2 - 3/4" from the top edge and, using the embroidery thread, stitch along the bottom edge. Center the inside piece of felt. 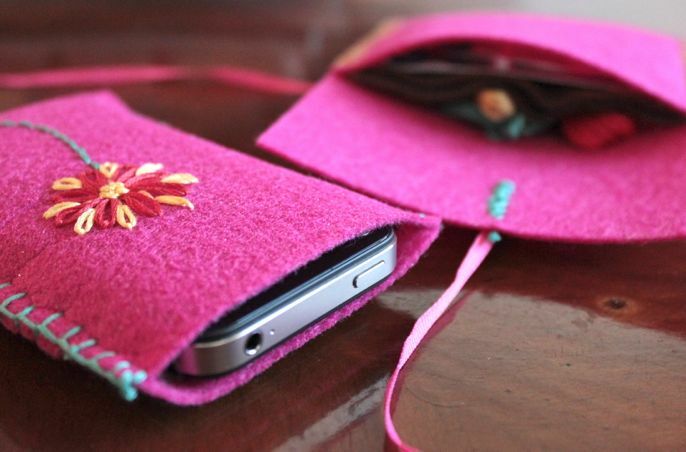 Fold the felt over the phone and clip the sides together. 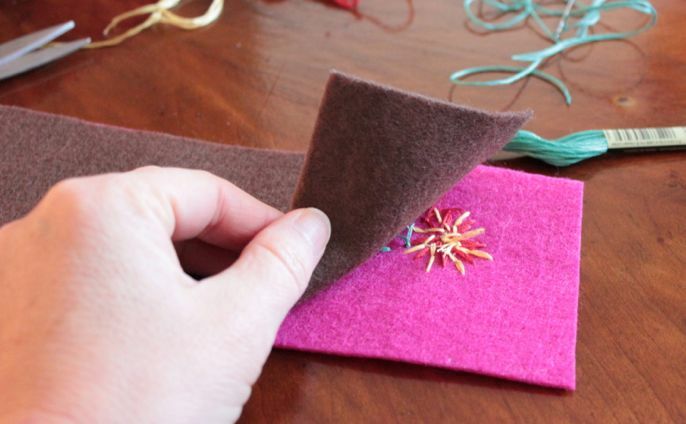 Using a blanket stitch, go through all layers to secure the sides and guess what? you're done! isn't it adorable? Now you've got a matching set. I'm using the pouch to hold my thread and needles. Enjoy your Friday and I'll see you back for I Heart Macro on Sunday. Soo Cute.. I love embroidery and do miss it. This is so cute and simple! Thanks for sharing. I'm going to try this!! Great tutorial! Ok..this IS totally adorable..and I think I will even give it a go!! Great tutorial and thank you for putting it together and with such good photos and explanation. Hi! This is an awesome tutorial, and I was wondering which iphone these dimensions are for? Ooh, this post was done back in 2012 so I'm going to give it my best guess and say it was possibly the iPhone 4. 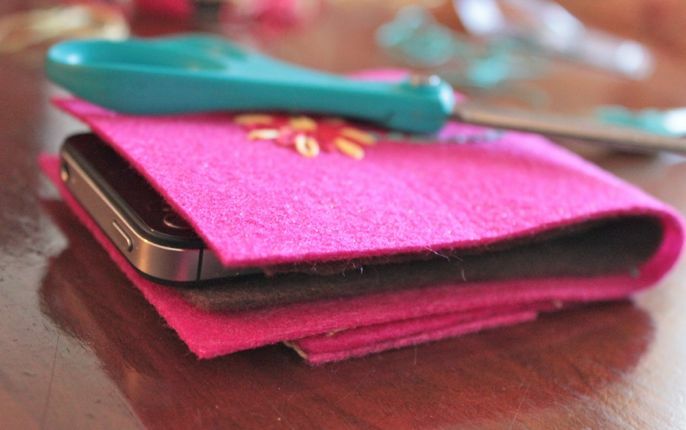 But if you want to make it for your current phone, whatever the brand or type, simply take the felt and fold it over the phone and that should give you the size you'll need. Hope this helps!